Consulate of France in San Francisco. Foreign consulates in San Francisco promote foreign interests in the greater San Francisco area. Foreign consulates in San Francisco can play an important role in providing companies with trading information on foreign countries as well as import and export regulations. Alongside business information consulates can also provide information on passport and visa matters if you decide to travel to a certain country as a tourist or a business traveller. 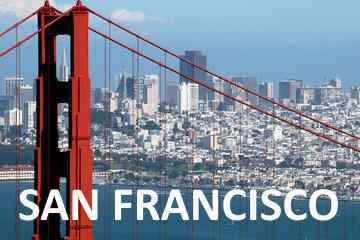 Here you will find contact and address information on the foreign consulates located in San Francisco, United States. In the San Francisco area there are more than 65 Foreign Consulates and permanent bilateral representations. There are also smaller honorary consulates specific duties and with limited powers. Foreign consulates in San Francisco are bilateral missions representing their respective country. Foreign consulates in San Francisco promote foreign interests in the greater San Francisco area. For all specific information on what the Consulate of France in San Francisco can do for you, for example passport or visa matters, please inquire the consulate by contacting them directly by email or telephone call. www.consulate-san-francisco.com provides general information about the foreign consulates in San Francisco and has no affiliation with any of the featured consulates mentioned on it’s website.